Sometimes, something so simple like these place mats can take far too long to make. This is one of those "a little bit here, a little bit there" projects that finally came together once I figured out what the complementary solid was going to be. 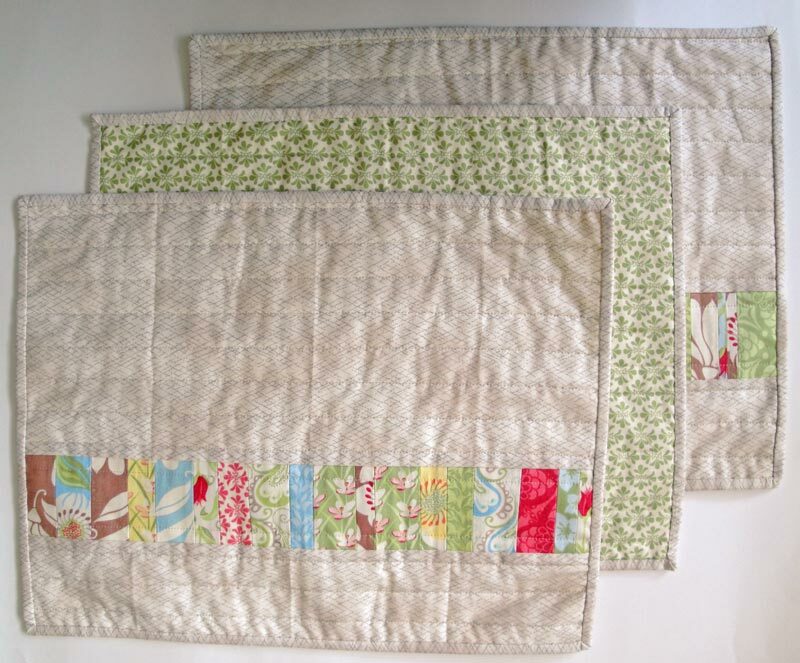 I was thinking originally to use linen, but that stuff shrinks way too much and by the third washing, these place mats would probably be no bigger than a glorified pot holder. Instead, I discovered that I had this wonderfully neutral crosshatched fabric. The benefits of having a fabric stash that is out of control. 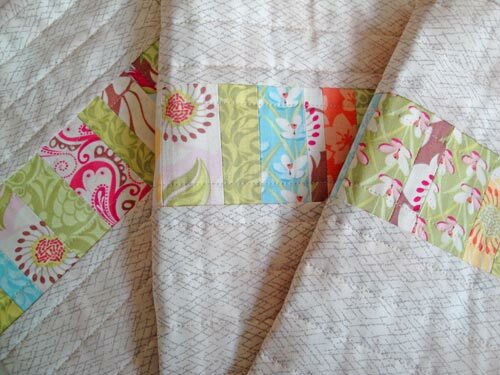 The quilting is simple horizontal lines. 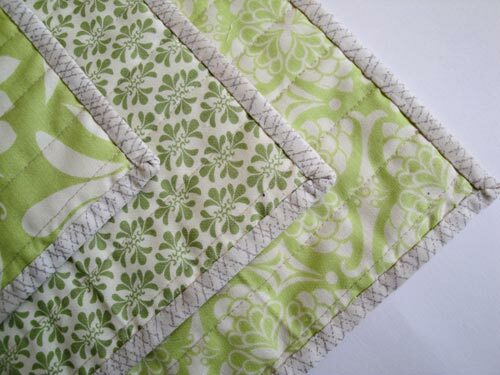 And the backing uses some additional fabrics from the same line as the patchworked front. Unintentional, but now I have a little bit of spring gracing my table in wintertime (which in Southern California, is no hardship).